Udaya channel which has been entertaining Kannada audiences with versatile and extraordinary programs is presenting yet another serial this Dasara festival Doddamane sose . It’s a story about unforeseen circumstance of a daughter coming back to her mother as daughter-in-law which will be aired on September 18th at 9:30 pm. The story revolves around the supreme family “Doddamane” Doddamma being the head of the family is respected and idealize by the people in her town. Doddamma is the most powerful person and nobody opposes her and her decision is the final word. Shruthi protagonist is a simple, naughty and fun loving village girl with poor background. Shruthi who is carefree enters into Doddamane as daughter-in-law and opposes Doddamma and her legacy which she has maintained for years is the crux of the story. Doddamanesose is produced by S.N Rajkumar under the banner Skanda creations who has delivered popular movies and serials in the past and is directed by Dharshith Bhat with beautiful locations in and around Mandya and Ramanagara adding to it is the Screen play written by Shekar. 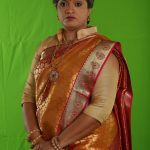 Dodamane Sose launches two new faces to the television industry Gagana and swaroop playing the lead and also has actors Sangeetha bhat, Kausalya and Vijayalakshmi. Do not forget to tune into UdayaTV “Doddamane Sose” on September 18th (Monday to Friday) at 9:30pm.